Whether you are a tenant or homeowner, living in a new build or period property, the words ‘wet rot’ will probably evoke considerable unease. This fungal infestation is born in humid wet conditions and survives by feeding on decaying timber. 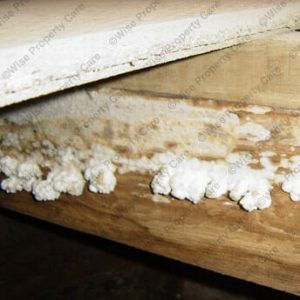 The spores from wet rot fungus reproduce easily, quickly and are perfectly capable of totally consuming the wooden structures of a house such as roof rafters, floorboards, sheathing and underlay to name a few. 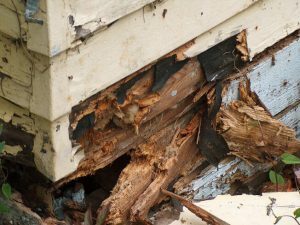 When the timber elements of a house succumb to wet rot, parts may become unstable. In severe cases, this can result in sections of a house giving way and collapsing. The problem with wet rot is that you can be subject to these dangers and not know until it’s too late. 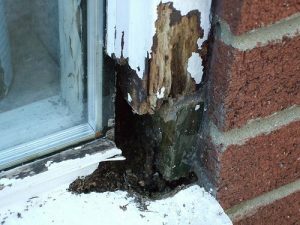 The consequence of discovering wet rot too late can have astronomical safety and financial implications not to mention the upheaval from having to live in the middle of the problem. As one of the industry’s leading damp proofing and basement conversion companies, we see the realities of wet rot every day from helping countless clients across the South West. We’ve chosen to share our top list of things to look out for if you want to avoid wet rot. Look out for any fungus growing on timber, these spores are not always large and immediately obvious. In terms of appearance, the fungus could look like anything from large protruding lumps to a subtle splattering of dots. The important thing to remember is that any visible fungus indicates that there is enough localised moisture to sustain life. 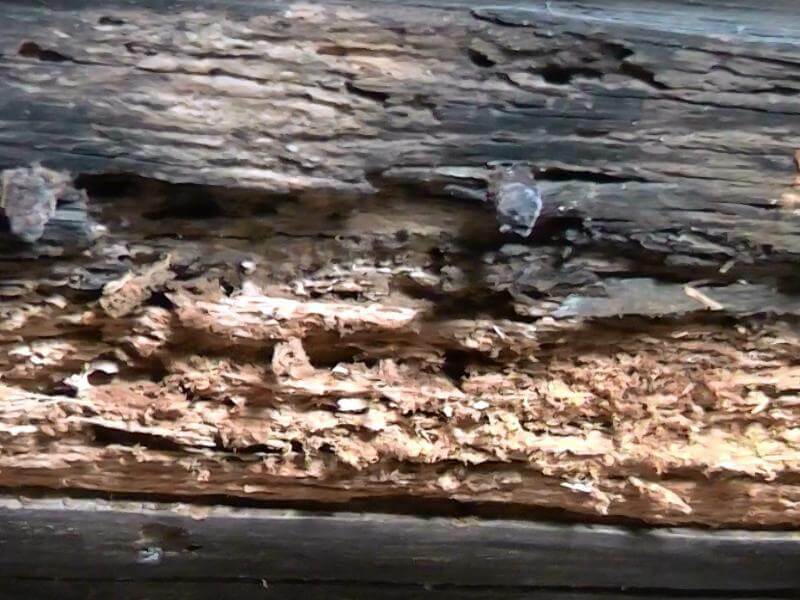 Sometimes timber affected by wet rot will take on a stringy fibrous appearance as it loses strength and decays strand-by-strand. The affected area will again feel very soft and spongy and will break when subject to low amounts of pressure. The most obvious indicator of sustained damp on exposed timber is when the original wood colour darkens. However, this becomes difficult when the affected area is covered with a coat of paint. To solve this problem you need to remember that when wood is exposed to prolonged periods of wetness it changes shape and warps. If this is happening you might see cracks and chips in the paint as the wood underneath shrinks and bends. 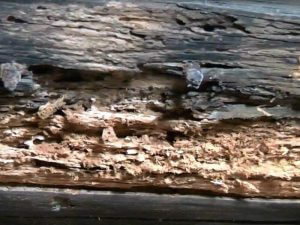 Decaying wet wood emits a very distinct odour, it is usually very bitter, full-bodied and musty. This is a very good indicator that timber in the affected area is under attack from wet rot fungus and that the decay process is already taking place. Think you might have wet rot? If you have identified any of the above telltale signs, it’s best to act fast and not leave anything to chance. As one of the leading damp proofing and basement conversion specialists in the South West, Biocraft has years of unrivalled experience in the identification and prevention of wet rot for countless customers and property types.